I was very fortunate right after certification to be hired by the University of Waterloo to work with their fall sports teams. Immediately after that contract ended, I began a position at Trinity College School where I worked until I came to Durham College and UOIT as an athletic therapist for both institutions in 2007. About five years ago, I began working for UOIT exclusively, however, due to the nature of our shared facilities at the institutions, I still have an opportunity to work with colleagues at Durham College and support their student-athletes as well. I have also had a number of opportunities over my career to work with Rugby Ontario and Rugby Canada, which have given me so many skills and qualities that I bring to my role at UOIT. The best part of my job is that it is constantly changing – I never know what is going to happen on a day-to-day basis. The athletes and my colleagues are all amazing people who both challenge and support me, so even in the craziest part of the varsity season, we have fun and are always learning. The athletes always keep me on my toes. I have been very fortunate to have amazing teachers and peers throughout my career who have pushed me and supported me to help me get to where I am. The opportunities I had when I was in school to work with a wide variety of teams and sports, and the trust that my supervisors had in my abilities, gave me so many learning opportunities and experiences that help me every day in my current role. My classmates throughout my many years in school were so amazing that it made me better as a result of just trying to keep up with them! Those same classmates are my friends and peers now, and they continue to influence me and help make me better at my job. 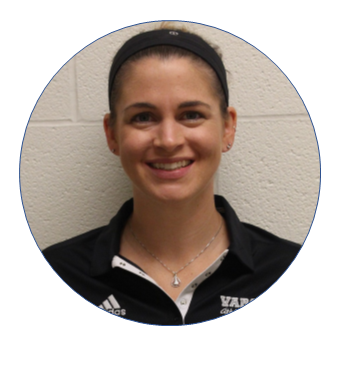 My family is incredible – the life of an athletic therapist means long days, late nights, working most weekends and a lot of travel – especially in the height of the varsity season. My family has been so supportive of me and what my role as a university athletic therapist entails. Without their encouragement and understanding, it would be so tough to do this job. I have had so many wonderful experiences with teams I have worked with over the years – national championships, travel to many different countries and helping athletes with major injuries return to playing the sport they love. All of those combine together to remind me every day what an amazing job I have. In addition, in 2010 I had the opportunity to work at the Paralympic Games in Vancouver at the sledge hockey competition. I learned so much from those games, working with such an amazing team of medical professionals in that high-performance environment, plus the demands it made on my skills, combined to make it an unforgettable experience. 4. How would you define a UOIT student-athlete? Passionate, dedicated, and determined. These students impress me every day – they balance their team commitments, academics and outside stressors with an amazing attitude and a drive to succeed. 5. 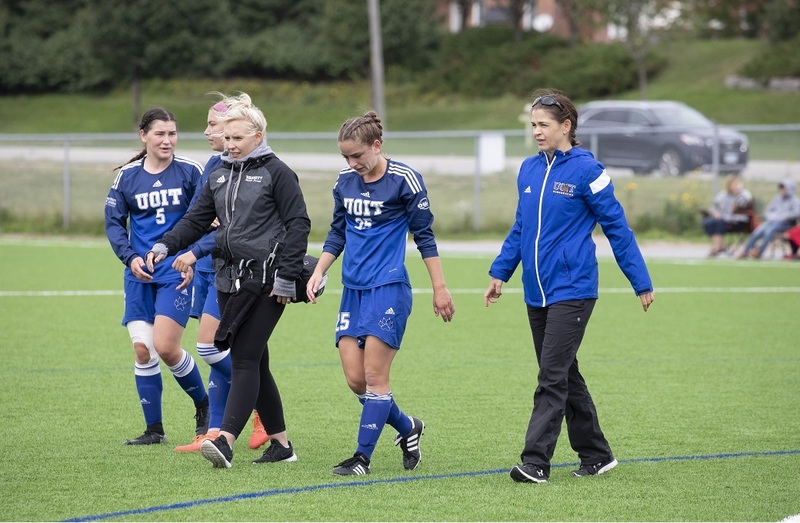 What does success look like for the UOIT athletics program? Participation in sport teaches so many great skills that are applicable after graduation - UOIT athletics develops and nurtures those skills. Success in academics, engagement with the university and wider community, leadership opportunities, enhancing “soft skills,” combined with wins in competition means that UOIT is always striving to graduate students with a lot to offer the world. 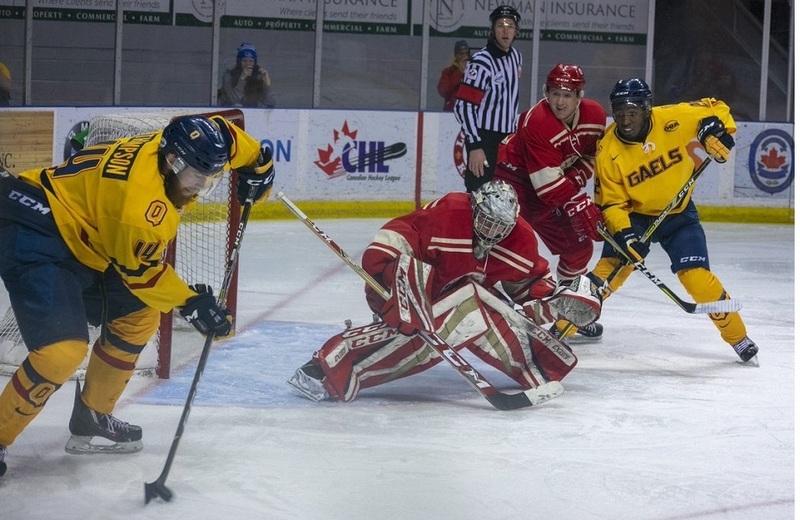 There are so many pressures placed on university athletes, both internal and external. I have found that these have grown over the years, so we are finding students struggling more and more with their mental health. Recognizing and responding to those needs is so important to the success of our student-athletes. I would love to see our teams and athletes be part of the sport conversation across the country - with regular media exposure, recognition in the community, and as the first thought to all younger athletes who are looking to pursue post-secondary education. The high quality competition, academic opportunities and overall experience for athletes in Canadian universities often goes unrecognized. I can’t pick just one person. There is so much ongoing research into concussion recognition and management in varsity athletes. I would love to sit down with so many of those researchers and discuss their research and real-life application of their findings. The short- and long-term implications of mismanaged concussions on the academic and athletic success of student-athletes is huge and these researchers could provide me such valuable insight and knowledge that I would put in to use on a daily basis. I want to make sure that what I do with injured athletes is based on the most current evidence, and this research is always giving us new insights and awareness as to best practices, and I’d love to hear where the research is going. You don’t know what you’re missing! These athletes put a high-quality product out on the field and anyone I have ever introduced to U SPORTS athletics has been impressed. I love to camp and travel with my family and I am an avid mountain biker. 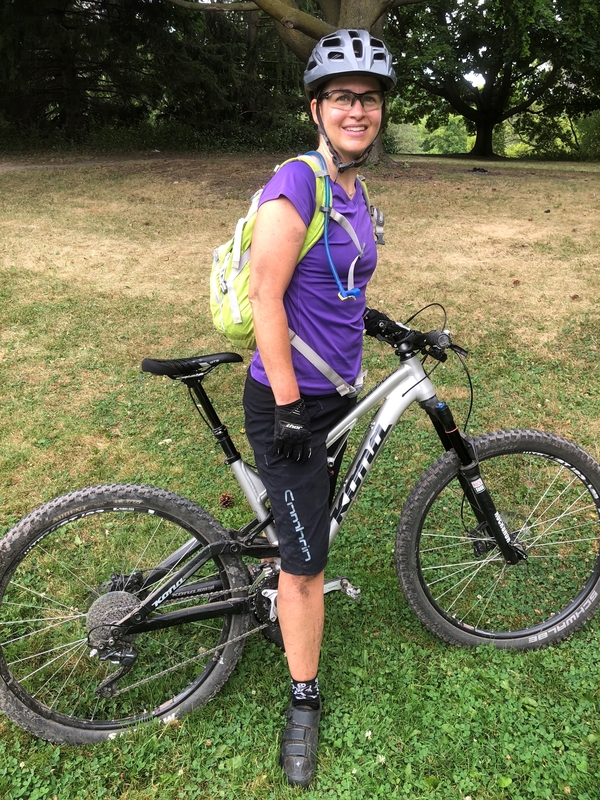 Riding has given me an opportunity to travel and connect with nature, plus, it is an excellent way to de-stress after a long and crazy day!